2" Anti-Vibe Risers for 1 and 1/4 inch BMW GS Handlebar - Clear Anodised"1R-AV2GSA"
If a ROX riser is out of stock note we order fortnightly and it takes 2 weeks to get to us. Anti-Vibe Risers reduce bar vibration and also pivot Forward/Backward depending on rider preference. Note: These risers aren’t designed to be positioned straight up because it can be difficult to access the BMW bolts to tighten the stem of the riser in place. For riders looking to go directly up from where the bar is currently we recommend our fixed position risers instead. These bar risers are designed to use your stock BMW Caps on the top of the risers, as shown in the picture to the right. 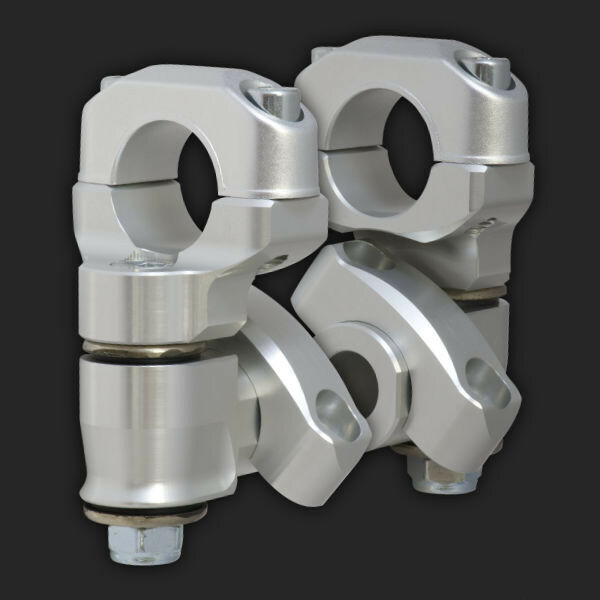 These risers come with replacement caps that will be used to tighten the stem of the riser to the OEM triple clamp. 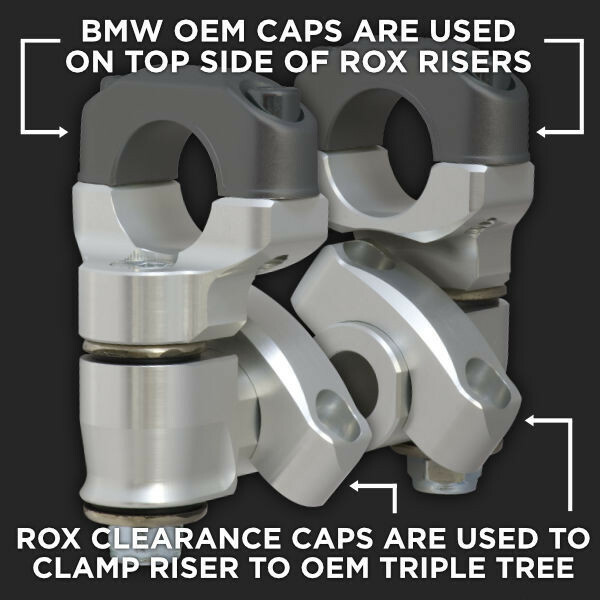 These risers were specifically designed for the 2013 and newer BMW R1200GS Liquid Cooled bikes that come with 1 ¼” handlebars. These risers will NOT work on the older R1200GS’. The risers come with caps to replace your OEM clamping caps. Anodized Clear. Patented by the US Patent and Trademark Office under US Patent #6,920,806. They are now also applicable to BMW R1250GS & HP from 2019 and the R1250GS Adventure.